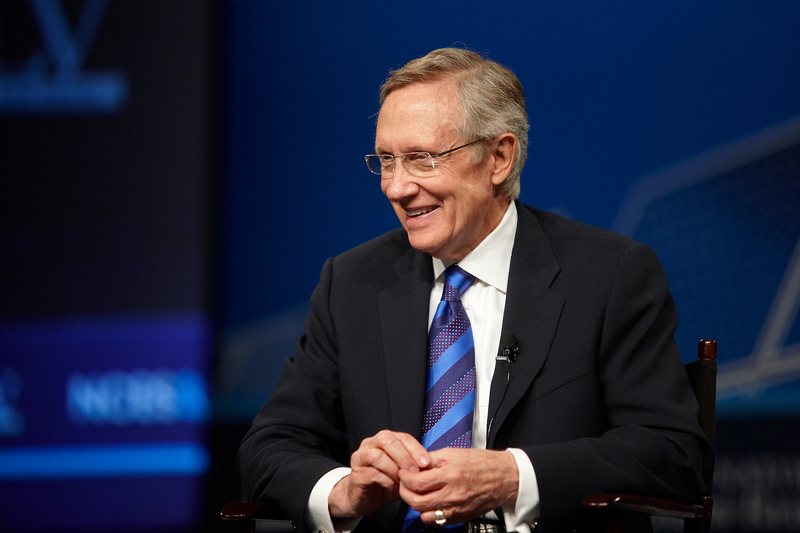 In October of 2013, Democratic Majority Leader Harry Reid had a decision to make. The Republican Party under Minority Leader Mitch McConnell seemed to take pleasure in delaying the Senate. FIlibusters were becoming the norm and cloture motions, votes to break a filibuster, had nearly doubled from the Bush era, as logjam seemed to be the destiny of the Senate. Reid and other Democrats were frustrated, and many had run out of patience. At the time, Congress was deliberating several nominees for the U.S. District Appeals Court in Washington D.C., one of the most influential and consequential appeals courts in the country. Republicans were afraid President Obama’s nominee would tip the scales of the conservative-leaning court. They decided to filibuster, and Harry Reid would take no more. In the Senate, no formal rules had been established on how long someone could speak or “hold the floor”. If senators wanted to delay debate, they could hold the floor for hours on end until a cloture motion was successfully filed. At the time, the number of votes needed to successfully stop a filibuster, or pass a cloture motion, was a supermajority of 60 senators. The rules had been that way since 1975 when the number of votes needed to end a filibuster was changed from ⅔ to ⅗ supermajority. However, the option remained to change the rules of the Senate through a process commonly known as “the nuclear option,” which would change the number of votes needed to successfully stop debate. Many in the Democratic Party viewed this as the unfortunate outcome, but a necessary move. Republicans under Mitch McConnell at the time had begun using the filibuster at an increasing rate, causing many Democrats to feel as though they had no choice. However, many Republicans viewed this measure as proof that Democrats were impossible to work with. Rather than negotiate, they argued, Democrats had decided to cut corners in order to get what they wanted. Regardless of the backlash, the necessary appointments were approved and life seemed to continue. Three years later, Donald Trump was elected president. In 2017 he nominated many questionable candidates to cabinet positions, most notably Michael Flynn as National Security Advisor, Betsy DeVos as the Secretary of Education, and Rex Tillerson as the Secretary of State. Two have since resigned, and one is critical to Robert Mueller’s Investigation. There was plenty of information to challenge these nominations, and potentially force a filibuster to prevent them from serving. However, the nuclear option meant that cloture votes could be passed with a simple majority, and Republicans now controlled the Senate. None of those nominations could be stopped. In January 2017, President Trump nominated U.S. Circuit Court Judge Neil M. Gorsuch to replace Associate Justice Antonin Scalia. The nuclear option had eliminated a supermajority for all nominations except Supreme Court nominations. Now Majority Leader Mitch McConnell threatened to use the nuclear option to get rid of that exception if Democrats would not play ball. Many Democratic senators behind Minority Leader Chuck Schumer decided that they would not support Gorsuch’s nomination, and warned against any nominee who would not receive 60 votes. They refused to give in, so Majority Leader Mitch McConnell changed Senate Rules so filibusters could end with a simple majority for Supreme Court nominations. Neil Gorsuch was confirmed as the newest Associate Justice of the Supreme Court. Democrats did this in part because they were upset about the nomination of Merrick Garland. Republicans controlled the Senate and refused to meet on Merrick Garland’s nomination because “it was an election year.” It was February, and the election was months away. Regardless of how abhorrent much of this may seem, McConnell’s actions are not an excuse for poor and reckless strategy. Just recently, Associate Justice Anthony Kennedy announced his retirement from the Supreme Court. Donald Trump will get the opportunity to fill a second seat. Democrats should never have changed Senate rules in the first place. Regardless of whatever short-term gains are made, it can lead to negative consequences. Senate Democrats also should have given up and been okay with a conservative being replaced by a conservative. Neil Gorsuch’s nomination did not change the ideological balance of the court. However, a more conservative replacement for Anthony Kennedy, the “swing-justice” in recent years who voted for gay rights and abortion rights, could change that balance significantly. Now the Democrats have no ability to filibuster, and no leverage for the one Supreme Court candidate that matters for the ideological balance of the court. Democrats’ failure to see the long term is now going to cost them. Harry Reid and the Democrats took a shortcut because it seemed politically expedient. However, as the tide shifts, it creates a pathway for whatever shortcut you used as a positive, to be used against you in the long run. For every appointment that may seem super partisan from the right, will be followed by an extreme partisan from the left. The middle ground will slowly shrink and everyone will pay the price. Old Senate rules acted as a buffer to prevent one party from consistently nominating extreme candidates for lifelong appointments. In their absence, our courts will become more partisan and cease to reflect what the majority of Americans think. The most important thing a president can do is nominate candidates to the cabinet, the judiciary and other positions. By changing Senate rules, the sanctity is taken out of the nomination process, and instead puts more emphasis on partisan politics. Regardless of which party you may more closely identify with, our judiciary is meant to interpret the law and how it relates to the U.S. Constitution. This should not be a partisan matter, and the nuclear option will make sure it gets treated as one. If our politicians truly cared about the rule of law, they would have kept Senate rules as is and understood that things can be difficult in politics. However, many politicians preferred to take shortcuts instead. When our politicians take shortcuts to achieve a short term gain, it is a net loss for everyone. Polarization increases, and those at the top become more interested in serving political goals rather than serving our nation. Hopefully, those in power can come to their senses and do what is best for our country, but I have a cynical feeling that nothing will change.